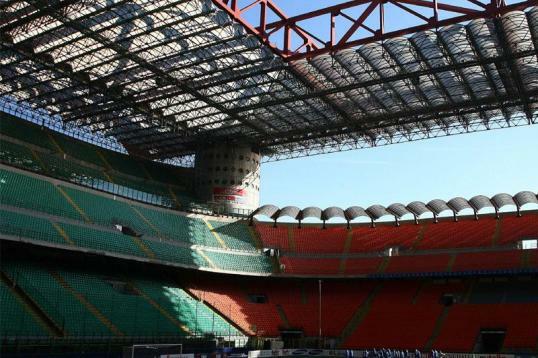 AC Milan signed Krzysztof Piatek from Genoa and agreed to a contract through 2023 with the 23-year-old forward, the club announced Wednesday. The move came after Chelsea confirmed they had signed Gonzalo Higuain on loan. Higuain had been on loan with Milan for the first half of the 2018-19 season. According to the Guardian's Fabrizio Romano, Genoa received an initial €35 million for Piatek. The Poland international made a big impact in a limited amount of time under manager Cesare Prandelli. He scored 13 goals in 19 Serie A matches and added another six goals in two Coppa Italia fixtures. His finishing will be sorely missed by Genoa, who have only scored 25 goals as a team and sit just six points above the relegation zone. Piatek should help Milan solidify their place in the top four. With 34 points through 20 matches, the Rossoneri are one point ahead of Roma. The gap between Milan and eighth-place Sampdoria is only four points, so the battle for the final UEFA Champions League spot will be tight. One question with regard to Piatek's signing is what it means for Patrick Cutrone. The 21-year-old has struggled to earn a regular starting role and has just three goals to his name this season. Assuming Milan utilize a one-striker formation, Cutrone will continue to be stuck on the outside looking in.